Do you believe that age is just a number? The older I get, the more I do. Society tells us that getting old is a bad thing, and that women over a certain age have less value. But I'm proud of my 50 years on this earth. I want to be the best me I can be, while embracing where I've been and where I'm going. Today for Style Perspectives we're sharing spring jackets. My tie sleeve blazer from Nordstrom comes in four colors and has such a fun detail on the sleeves. This time of year I'm all about the layers, and it's nice to have an alternative to a cardigan. 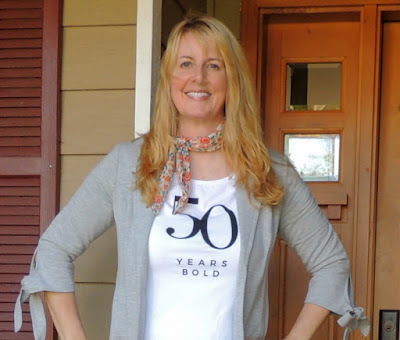 I wore it with my Chico's Bold Tee and a floral neckerchief from Old Navy. Back in January, when I was setting my goals and intentions for the year, I wrote about connections. 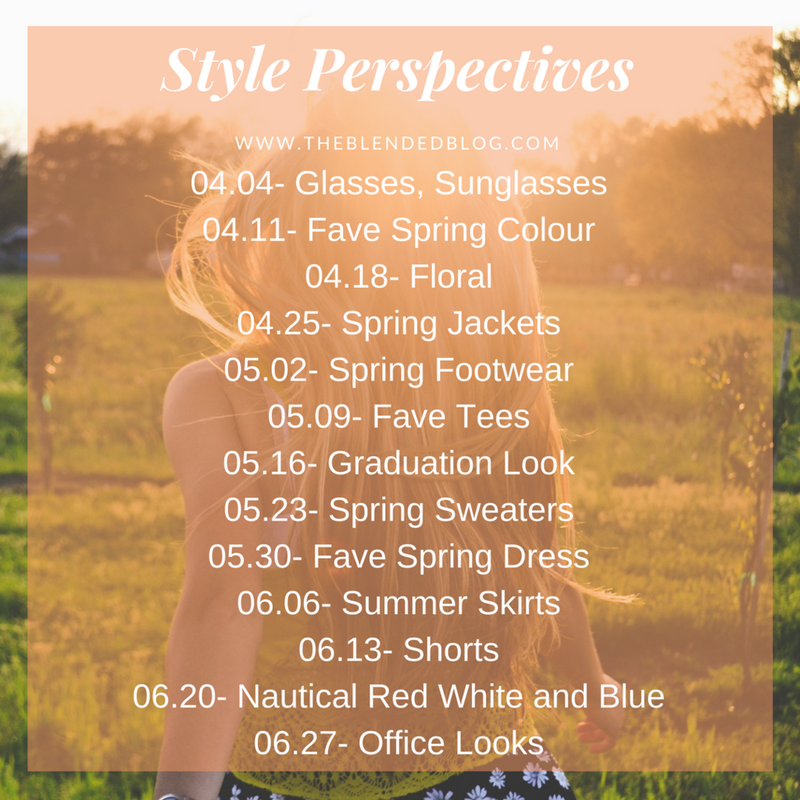 I realize that for me, blogging is about the people I've met and the tremendous gifts they bring to my life. I want to use my blog and social media to collaborate with women, and to pay forward the kindness and love I've received. Since sending that thought out into the universe, the most wonderful things have happened. 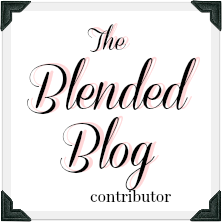 The Blended Blog has continued to grow, with fun linkups and lots of new friends. 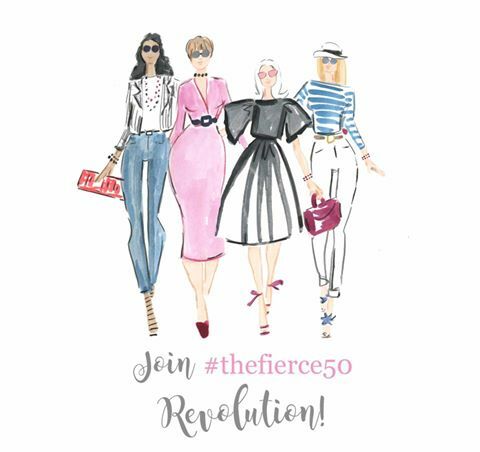 I've also become more involved with The Forever Fierce Revolution, an amazing group of inspirational women who truly believe that age is just a number. We're coming together to shift the perception of women at midlife, and show the world that we are just beginning. The community, started by Catherine Grace O'Connell, lifts each other up daily, and the "snowball of kindness" keeps getting bigger and bigger. I invite you to come see what it's all about, and join us! It is definitely only a number and women of all ages need to unite and lift one another up..it could truly change the dynamic of what the world has become and I love the love and devotion bloggers have to one another. You look darling, great bows on that jacket! So true - we've definitely earned the right! So glad you linked up with us. I bought a few of the neckscarf's and I really like them! You are exactly right Lana!! I think the more we give, the more we realize how wonderful life is!! And age---schmage!! It only makes us better....kinda like wine!! You're one of my biggest inspirations! Oh yes, age is just a number, certainly doesn't define us! 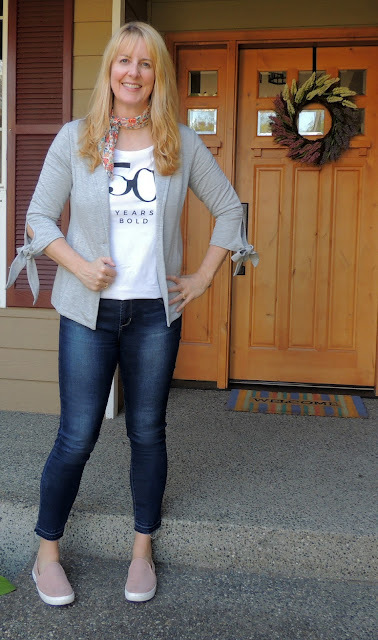 You look cute as can be and that blazer is perfect for Spring!!! Lovely Lana!!! You're my style icon, and my 50-icon! Age is weird to me because my grandparents died at 100 so when I met them, they were "only" 70, and still had decades to live. And I remember my other grandfather turning 80 and my great uncle said, "he's so lucky to be 80. he still has life to look forward." (he was 90) So 50 is practically a teen to them! Oh my goodness, you're so sweet! I've never been anyone's style icon before :)! The people in my family live to a ripe old age - Grandpa Ed will be 100 in a few months - so I totally get the age thing. Maybe that's what keeps me feeling young! I've been on a shopping spree lately. Giving my wardrobe and necessary upgrade lol! I'm loving the new styles and I love that tee! Looking good! So proud of your good work with the Forever Fierce Revolution with Catherine and Jodie. Yay for YOU!! I ordered my tee for one decade bolder than yours but it is back-ordered with no indication when it will be shipped. Hope I where mine as well as you do yours.